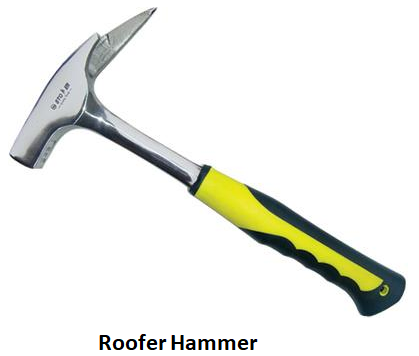 Hammers are the most important tool and have made their space in every households and industries now days. 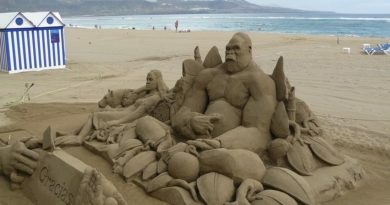 It was all started around 3 million years ago during stone age when the species like homo sapiens, homo erectus, Neanderthals and all others human species besides these three, were largely used hard stone to break down or hammer soft stones or woods. From Stone Age to Bronze Age to industrial revolution to this golden age, where new abilities in science and ergonomics led to the advancement of some revolutionary designs of hammer. Here we will discuss 37 different types of hammers that we uses most frequently in different industries. 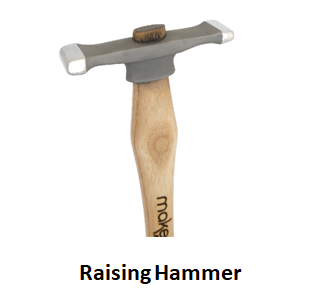 Hammer is a domestic or worksite tool that is designed to deliver sudden blow or load on the objects. These are used for many different purposes such as driving nails onto woods or concrete, forging, dismantle objects etc. 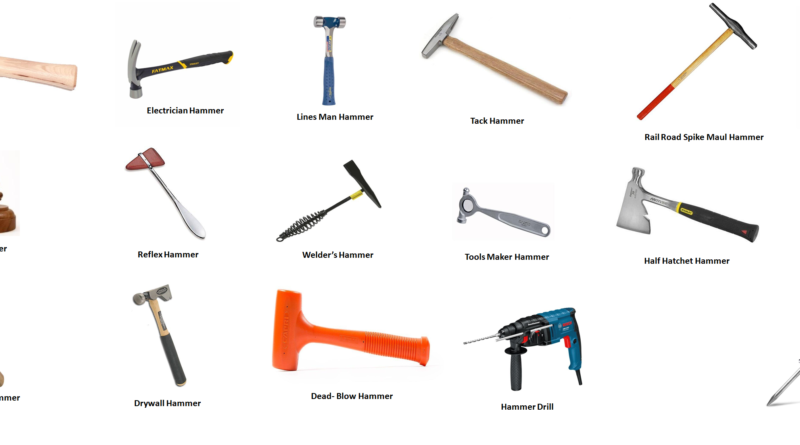 Well there are thousands of different types of hammers on the basis of different sizes , materials, shapes, applications but In this article we are going to study about 37 different types of hammer, Wow!, that’s a lot to discover about!, Which are regularly being used in many industries or for domestic purpose and households. 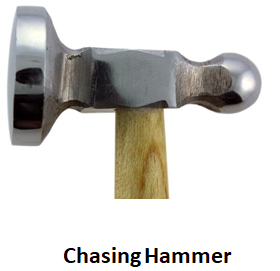 In this article we are going to study 7 different categories of hammer. A. 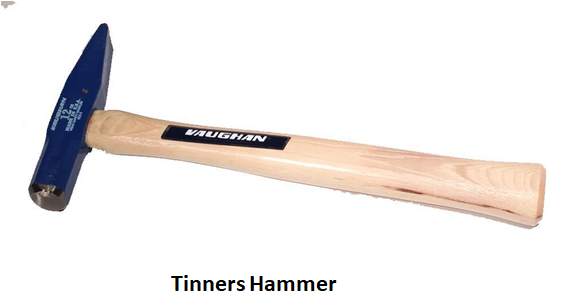 Types of Metal-Work Hammers. As name suggest these hammers are used to shape sheet metals into a concave and cylindrical shapes such as bowls, vases and other hollow shapes by hammering against a wooden stake or metal stake. These have rectangular cross section on both the sides of head. These are used on the inside surface of the bowls and other curved shapes to make them expend or sink into a refine shape by hammering against a wooden stake or metal stake resting on a surface. The faces of these hammers are in slightly doomed in shape or matches with the shape of the material on which it is going to be hammered. The faces of these hammers are very polished like a mirror finish to remove the indentations which are done by raising and forming hammers. 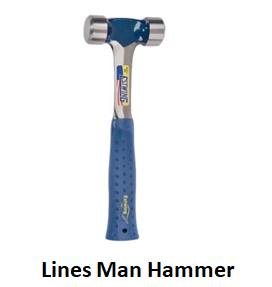 The faces of these hammers can be in round or square shape with a slight curve or flat faces. 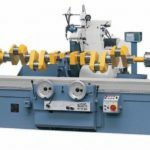 It is used to make a crease on the metal disc, which is the first step in some raising process technique, which generally helps to make a bending or shaping the metal into hollow or curvature properly or more accurate. The shape of the faces gets narrow as you move from the cheek to faces. These are alike to forming hammer and are used to generate raised zones by constant striking metal from the back. The faces are smaller in diameter as compare to the forming hammer but having large doom shape and length of the head. 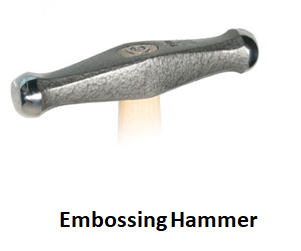 The sizes of the faces are different in embossing hammers. 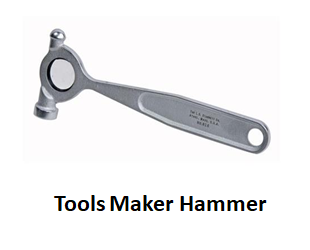 These types of hammers are generally used for small metal workpiece to forge them or to refine them into a proper shape. One of the faces of these hammer head are larger in diameter and in slight convex in shape (not pure flat head otherwise edges will mark some indentations on the object). The other end face is in doomed face or ball end. 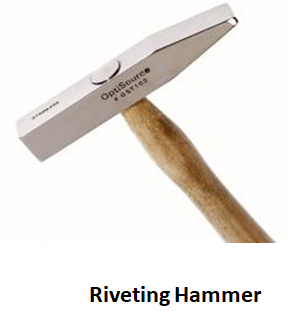 As name suggests it is used to hammer rivets. 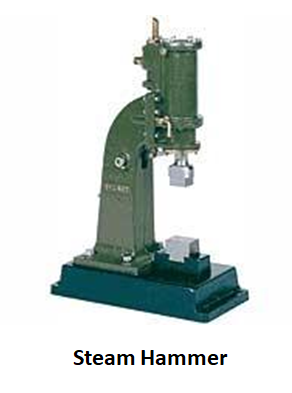 The wedge profile head shape is used to spread the heads of the rivets, while the other end, which can be flat square or round in cross section area are used to refine or to forge the rivets head. 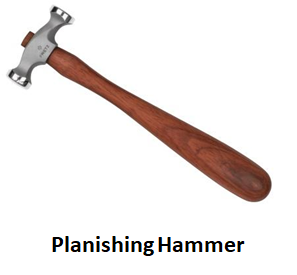 As name suggests these hammers are generally used for making or forming some attractive shapes of jewelry. 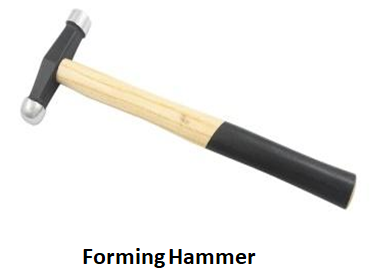 These are similar in shape to the riveting hammer with one end of the head face is cross peen or in wedge shape while other is in round flat face. These are very well balanced and light hammer and used for light forging or for riveting. 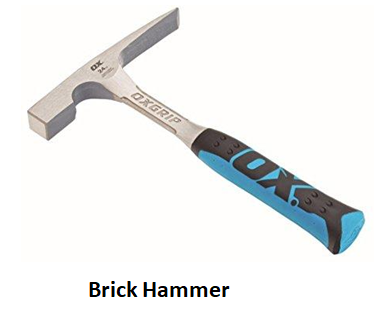 These types of hammers are generally used in blacksmithing shop which usually turns wrought iron or steel into a value added tool or product. 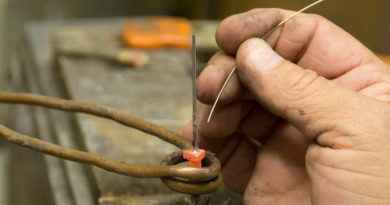 The one end of the head face is in parallel ( straight pein) or in perpendicular( cross pein) to the handle , which is in wedge shape, can also be used to tap the nail if there is less space, and the other end is flat shape which used to forge the material.so basically using includes forging, riveting, striking steel tools etc. they are also largely used in domestic works. 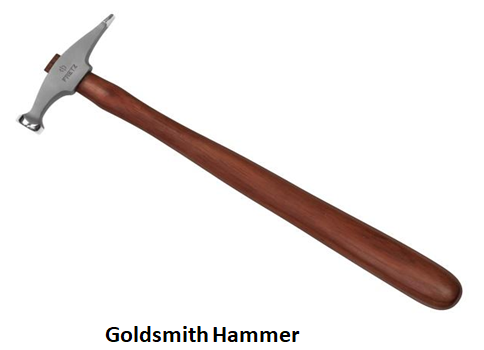 One of the well-known hammer in the hammer industry and are widely used in blacksmith shops and in households. It’s having a flat face on one end and round pein face on the other. These are also known as the engineers hammer and are general purpose hammer useful for spreading the rivets heads, light forging etc. 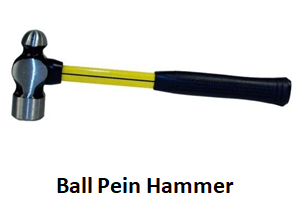 generally the classic ball peen hammer come up with a wooden handle but now a days replace with the material which generally reduces the vibrations. These are the traditional nail hammer used widely in carpentry and construction industry. These are mostly found in every toolbox because of its daily need in DIY works or in carpentry projects. 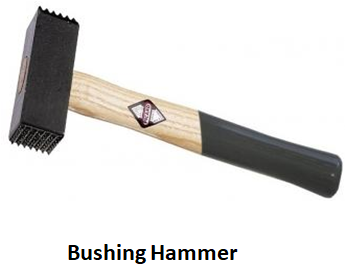 The one side of the hammer head face is flat which is used to flush the nails with the material while the other side, having claw shape, is used to remove nails. Handles available in range of sizes and usually made up of wood, steel, fiberglass etc. 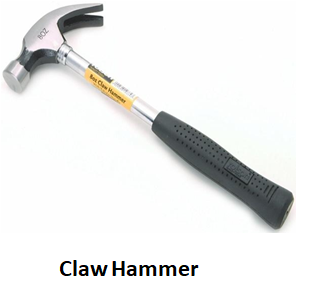 As name suggests they have nice finish or more delicate finished as compare to traditional claw or nail hammer. These are compact and light in weight which makes it’s more desirable to use. Because of having polished steel head face and fine texture these doesn’t mark any indentations on the surface of the material. 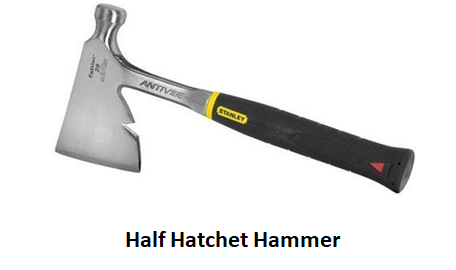 One will get definitely confuse between the claw hammer and framing hammer, but there is a slight difference between them which can be simply understood. 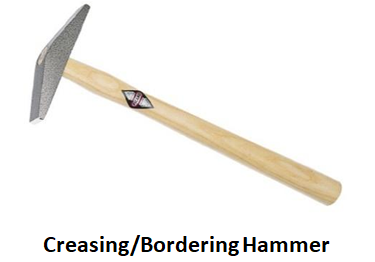 One of the faces of hammer head has some pattern designed to get some grip over the nail while hammering and other end of the face is bit straight rather than curve to separate materials. These hammers are much heavier around double the weight of the claw hammer. These are the hammer used by the geologist and the paleontologist to dig out the fossils through hammering. It offers a flat head hammerhead face on one side to break down the stones and a chisel type face to do some complicated works. 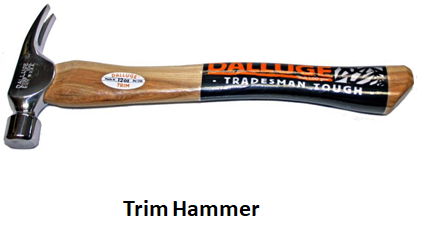 As name suggests these hammers are used in masonry or stones and often referred to as a stonemason’s hammer. The flat face of head is used to break the stones while the chisel shape face is used to remove the uneven chips from the surface of the material. 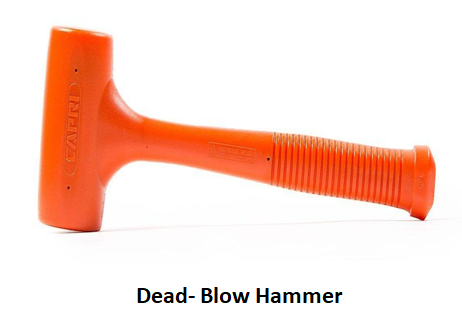 These are also known as lump hammer and are the smaller version of sledge hammer and are used to break down the masonry or stones into small pieces. They are also used for light demolition work therefore wearing of safety glasses and gloves are always suggested to wear. 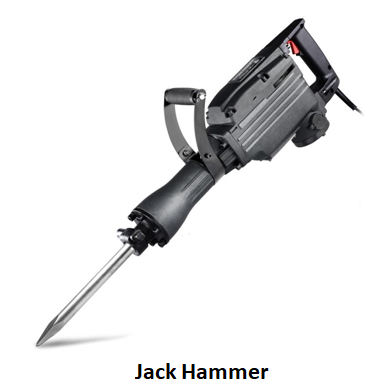 It can also be used for driving nails, hammering chisel with both sided head face hammer. Have you heard of rock climbing hammers? Yes they are also known as the piton hammers professionally. The head face is designed like a metal spikes to get stuck into the rock cracks so that it will help in ascending or descending on the rocks. Scutch hammer are used widely in construction and brick industry particularly for cutting and chiseling bricks. 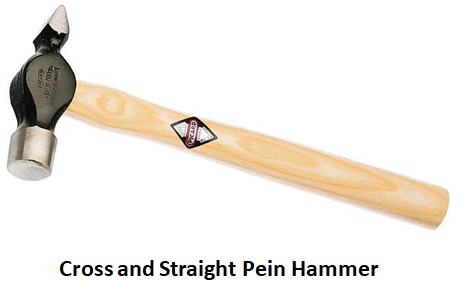 These can be available in either single ended or double ended scutch hammer. Single ended scutch hammer have only one groove to hold the cutting attachments while other end is a flat face to hammer. Double ended scutch hammer have grooves on both the sides of the head faces to hold the cutting attachments. 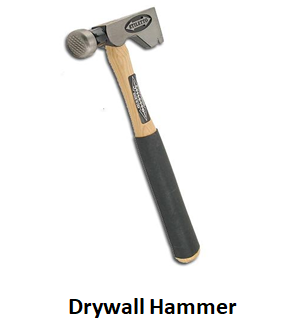 These hammer plays very important role in the stone or masonry industry. These have some zigzag like structure or could any other shape according to the requirement over the face of head which imprints onto the stone to give it more attractive look and to texturize it. these are the big fish in the hammer industry, having large head mainly made up of steel and long handle to drive large impact force onto the heavier jobs such as rock, bricks, concrete and on other brittle materials. These are largely used to attach wooden slates over the roof. Beveled square flat face and pointed peen are used to forge or hammer the nails and to generate holes and designed for removing the attachments. In the middle of the cheek there is a groove to remove the nails. 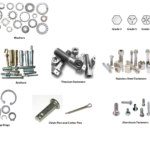 These are largely used in the metal roofing industries for hammering rivets onto the roofing. 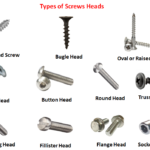 These have somewhat beveled square flat head and a chisel face or sometimes rounded cross peen head on the other side to spread the rivet head. 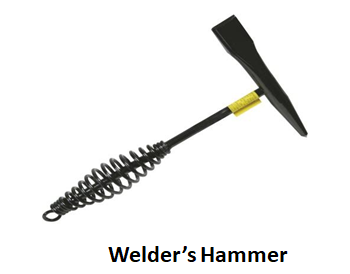 These are somewhat same as claw hammer but are more compact in design and have handle made up of fiberglass to absorb shocks and vibrations while impact. The claw face head is used to remove nails while the flat face head is used to hammer the nail into the materials. 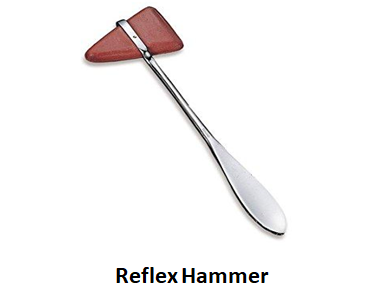 These are fully polished and well-designed fiberglass handle to absorb shock and vibrations which occurs during hammering of nails, bolts or hammering on utility poles. These have double rounded face head and are used by the electricians. “Order order!” you must have heard this in courts to attract the attention of the crowd. 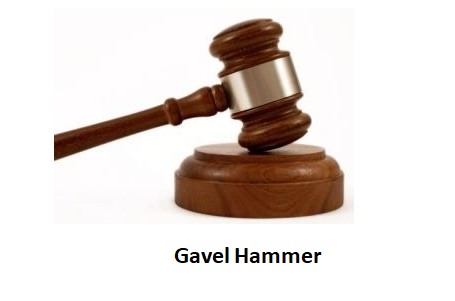 These hammer are used commonly in courts by judges, auctioneer or sometimes at public conferences and are also known as wooden mallet. These are flat faces head on both the sides and are used to hit on the sound blocks to be more effective to hear. These are the medical instruments used by the orthopedic or neurologists to test the tendon reflexes of the patient. 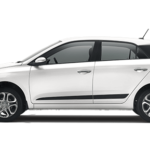 These have precisely stable handle offers improved control on force. You must have seen the welder using hammer for chipping of the unwanted material or slag from the surface of the welded zone either by cone-shaped pointed head face or by chiseled head face. These are sometimes also known as chipping hammer and have helical spring handle with hook at one of its end to hang it from the nail. 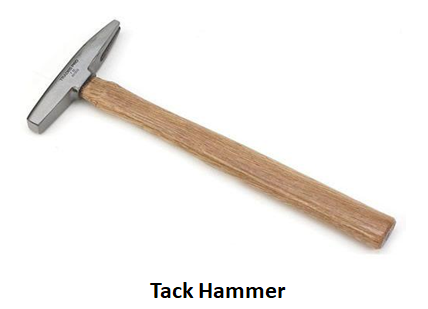 Tack hammer are used to hammer nails and tacks, generally a small button pins, to hold the padded textile covering over the wooden block. These have flat magnetized face head, for positioning the tack or nail, and groove on the other side to remove the nails. 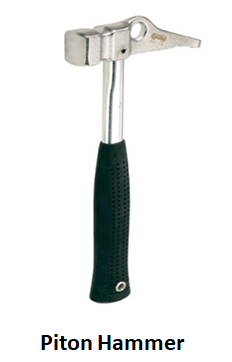 This steel hammer is incorporated with a magnifying lens, which helps to keep eyes on the intricate workpiece while hammering, and are supported by rubber all over the corner to distribute the vibrations. These hammers are light and have high strength and rigidity and are highly attractive because of chromium plated finishing. 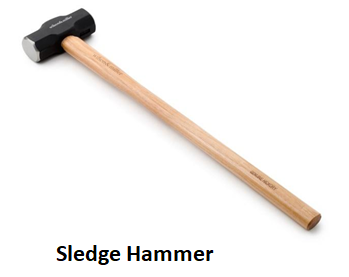 These hammers have both ball peen and flat face and are offset to each other. There is hole in the handle for hanging. 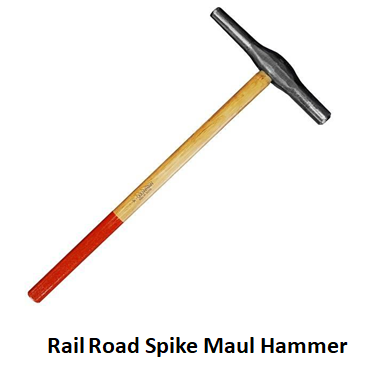 These are the hammers used on rail track to hammer railroad spikes onto the railroad track. These hammers are large in size and have long handle and as thin as the head which helps to apply high impact force onto the material. These have long and elongated hardened steel face head. These are also known as rigging axe and is the hybrid of an axe and a hammer and are used for varieties of different options such as in carpentry, to cut wood into pieces, to hammer nail or chisel etc. 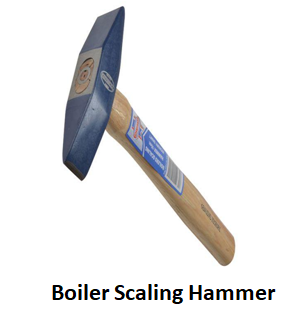 These hammers are largely used in boiler plants or for other general purpose also. These have both horizontal and vertical chisel hammer head face to remove the scale or slag from the boiler plates or from other metalworks. These are one of the special types and are well designed hammer because of having beveled (small slope around the corner) head with some waffle shapes over the head. 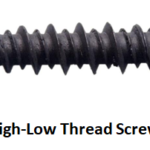 The beveled wide head restrict the tear of drywall by just making a small impression over the wall and the waffle shape provides adhesion over the nail to hammer it precisely. The other side of the head face is used to remove nails from the drywall. These hammers generates effective power from within the body because of movement of no’s of steel shots which also provide control to it. Because of having highly impact poly jackets and nonconductive over the body, it prevents from marking any dents over the material which also increases the durability. These are perfect for using in close-fitting spaces because of having minimal rebound or swing fatigue and vibrations. 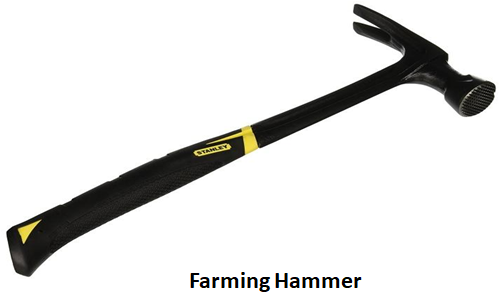 The categories we discussed above are all hand driven hammer and are easy to operate as compare to the power driven hammer which we are going to understand in the category of the article. 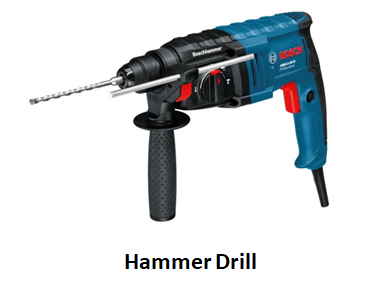 It is a rotary drill and is used to do hammering action with less efforts and quickly. It provides a sudden hammer thrust onto the brittle material. These are generally electrical powered operated or with batteries. 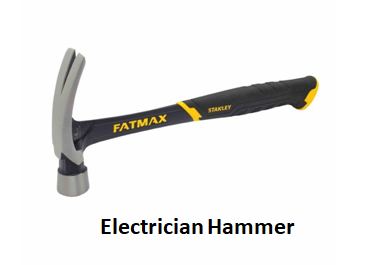 It was invented by James watt and are also known as drop hammer and are driven by steam to perform hammering actions. These are large in size and the hammer is attached to the piston that moves within the cylindrical arena. These great steam hammers now become obsolete and are replaced by mechanical and hydraulic presses. 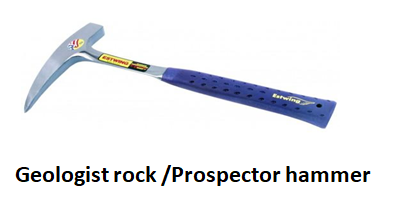 These are the pneumatic or electro-mechanical powered hammer which is a combination of hammer with a pointed shape tool or sometimes chisel to dig or break the roads, stone, concrete etc. these are driven by compressed air driven or in some case by electric motors. 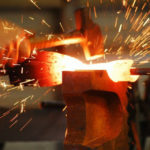 In this article we have learnt about 37 different types of hammers that we are using most commonly in this modern world. Without hammers it is not possible to insert even a nail in any object. 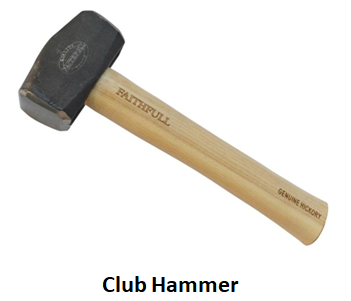 I hope that you have get some worthy information about hammer types. If you find this information useful than don’t forget to like and share it on social networks. 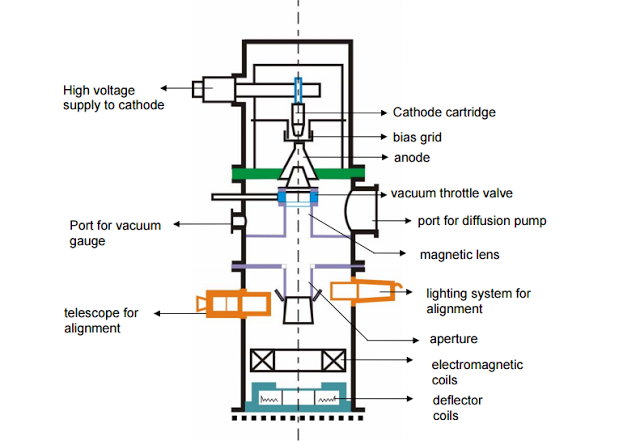 ← What is Heat Treatment Process?